Internet is the most used modern technology. It is used by billions of people everyday. Yes! billions of people use internet. In today’s world everything is going online from study to shopping. The Internet is becoming our daily basic need. But, having internet and having faster internet are two different things. Almost majority of the internet users are struggling with there internet speed. These days people also can’t even wait for a second to download a file. But, some files are too big in GB that it take lots of time in downloading. You must have recently updated your windows to windows 10. So, you tell yourself how much time it took to download Windows 10 update. In this article i will tell you two methods to boost your internet speed with Google DNS and Open DNS. How many of you used YouTube?. 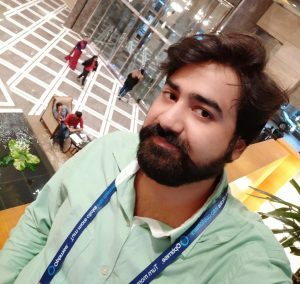 You must have observed that Advertisement load faster than Videos on YouTube. In this article we will use there DNS server to increase the speed. Yes! we will use google DNS server to boost our Internet speed and i will also provide you address of Open DNS server. There are several advantages of using Google, Open DNS because they provide internet at much faster speed. They also provide us internet when we are struggling with our internet. Yes! these server will work even when your internet is not working. I will tell you a hack which will help you to increase your internet speed with Open DNS. Just follow each and every step below. Open Control Panel and Select the Network and Internet. Now, Select Network and Sharing center. Now, click on your WiFi as marked in red. Note : It will show your WiFi name. So, don’t be confused. Now, It will show your WiFi status. You just click on properties as highlighted with red circle. This is the important step. Click on ‘Use the following DNS server addresses’ to speed up your internet speed. Now, you are using Open DNS server and your internet has become faster. Now, just take the reference from above Step – 5. Now, you will see (TCP/IPv6). 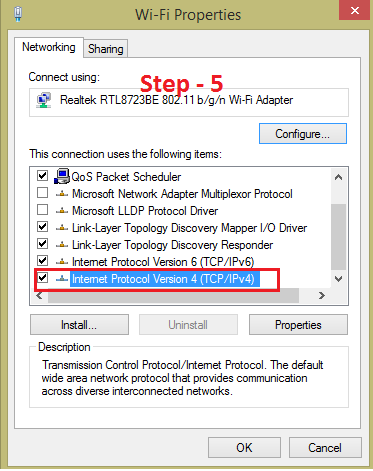 Now, configure it by changing Preferred and Alternate DNS server. Boosting your internet speed with google DNS is similar to above described Open DNS server. There is only one change all you need to write different numbers in Preferred and Alternative DNS server. Take reference from above Step 6 and Step 7 and write different numbers. So, these are the two methods to increase your internet speed with hack. 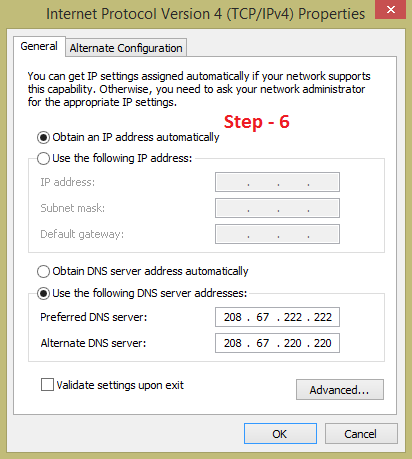 All you need to do is change the Preferred and Alternative DNS server. I have provided you Google DNS server codes and Open DNS server code. You can choose which is convenient to you and one more thing don’t forget to share this article. is this can also help reduce the lag of any video like in youtube and facebook? Yes! It will load the website fast and increase internet speed. What problem you facing ? Does This Work For MAC?? Does anyone have issues with their display driver after completing these steps? After all of it at the wifi properties do i need to click on configure and press yes? Yes! Enter the same DNS server listed above. 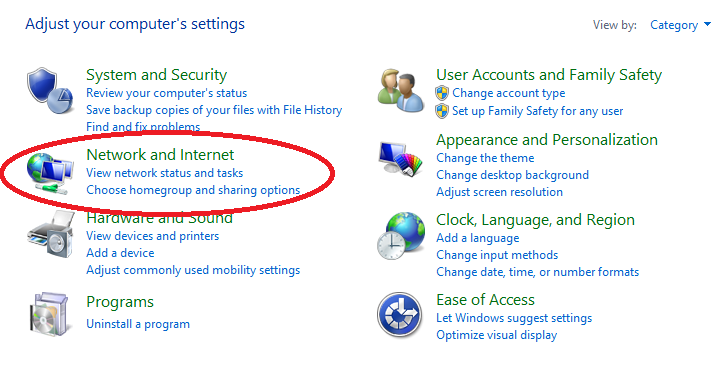 what will be the router wi fi settings for gateway and static dns 1, 2 and 3? No need to change…. Just change the DNS server code from Control Panel. Bro im on windows 10 and it only has IPv6 not IPv4? so do i only change in IPv6? It Worked! But It Increase The Speed Of YouTube Uplaods? It will increase both download and upload. I don’t know if this is really works or not but yes I felt the differences while opening the websites, or youtube. 1. Speed is not increasing at all? I have check my speed with speedtest. 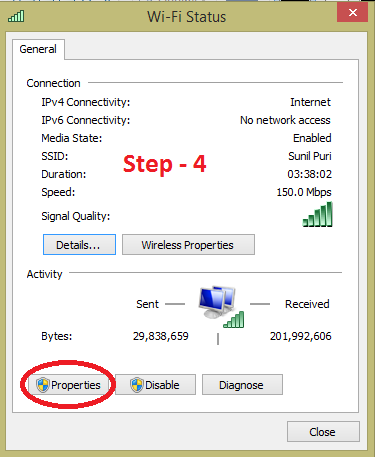 2. in Wireless network connection status window, You are referring to sent and received bytes as a speed. But my friend it is not a speed. Its how much bytes you have sent/received since connected to internet. But the overall it is good trick at least i can browse quicker or watch videos quicker. how can we check our internet speed? tried in San diego ,calif ….. no increase? ?Tried both open and Google. ISP throttles me to 5mbp. It has helped Whole World.Try this trick again! Try again the whole world is benefited with this trick do check our YouTube video. thanks bro it help me a lot can you make a video to increase range of wi fi adapter please. Yes! I will start working on this project soon. this works in the philippines? Yes! It is working worldwide. 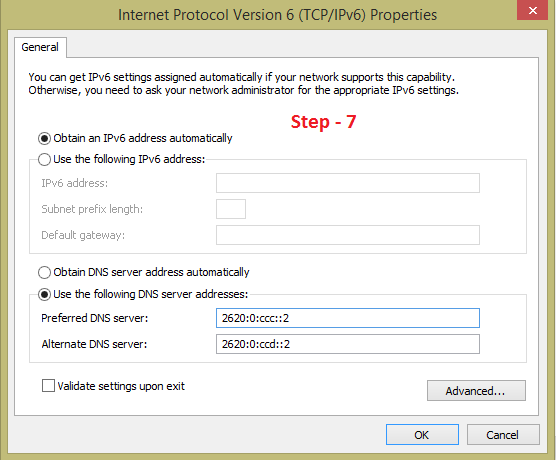 I’d put the first method but when I configure it, its changing to google DNS method why is that? Watch our YouTube Video for more clarification. I have shared the video in above article.